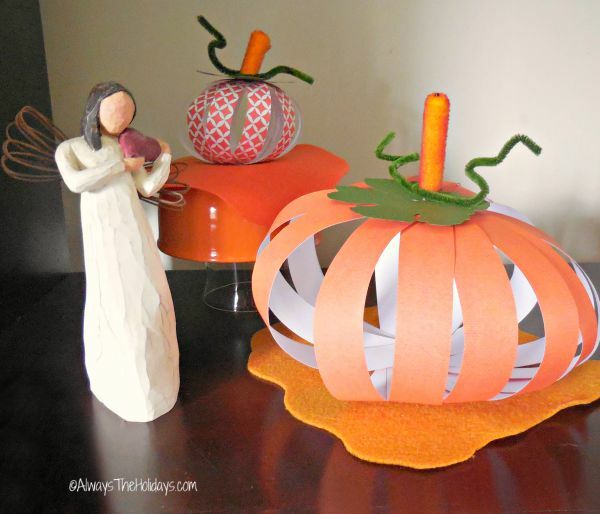 These DIY scrapbook paper pumpkins are simple to do and require only a few supplies. If you are someone whole loves to scrap book, this project will appeal to you! 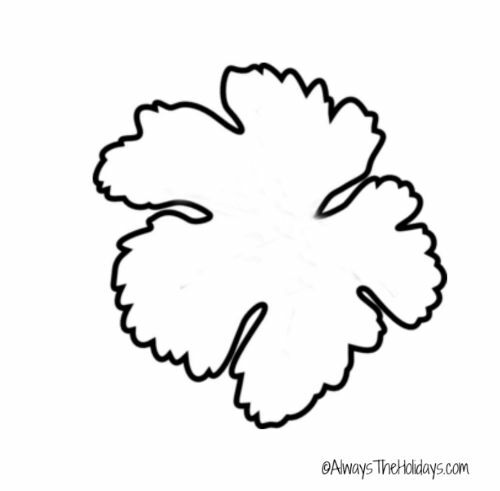 I used this template for the leaf pattern. I printed it out as a four inch leaf, traced two on the green paper, and then for the smaller pumpkin I just cut it down to a smaller size by hand. 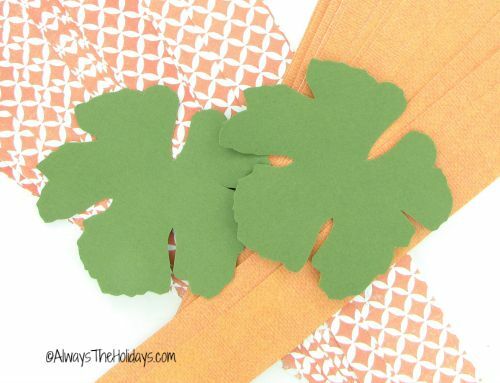 Cut the colored scrap book paper into 1 inch strips, and the leaf out of the plain green scrapbook paper. You can use any colors you would like for the pumpkins. There are loads of cool colors out there. 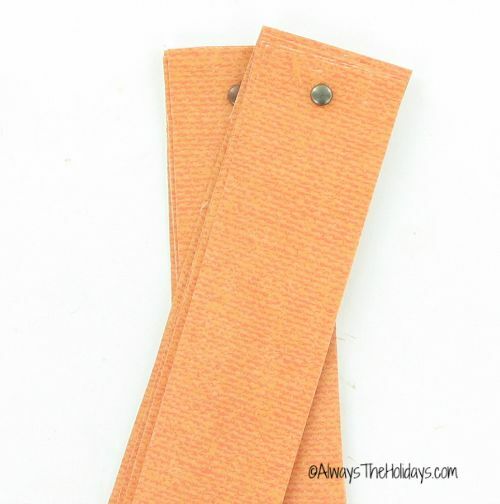 Gather the 1 inch strips of the same color and poke a hole in one end with a sharp pin. Insert the brad through and fasten. Notice how I had to make two piles and use two brads? I just love it when I don’t think ahead to get the right sized supplies! 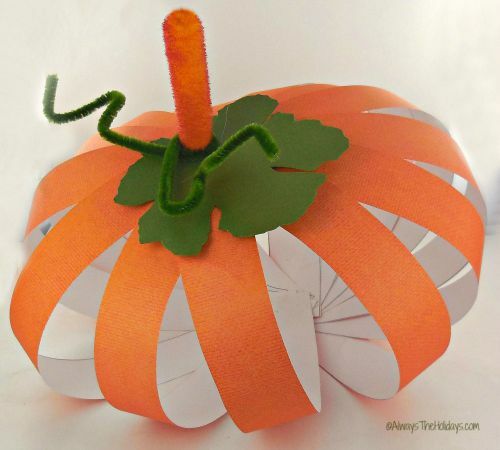 (NOT) Splay out the paper pieces and gather them at the top so that the paper forms a pumpkin shape. Poke another hole through the top and fasten with a brad. I had to use a glue gun at this point to secure the paper and keep it from moving around. Note to self…use the right size brad the next time. 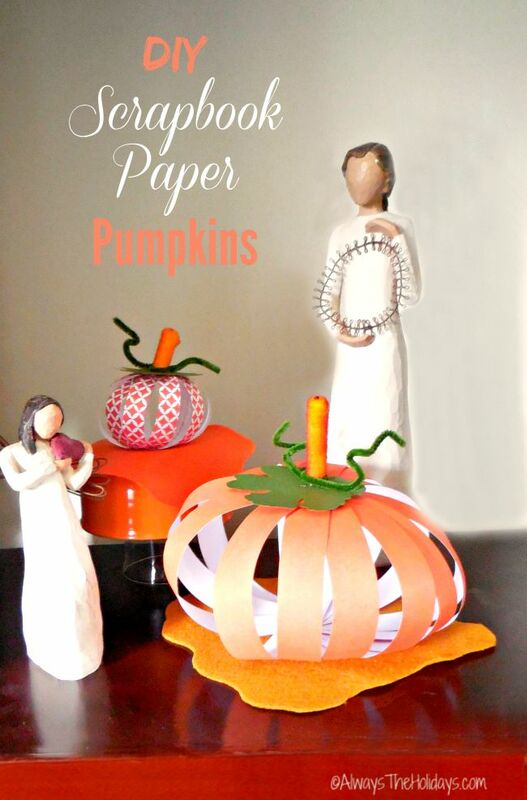 The little pumpkin was a ton easier to do because the brad would go through all layers of paper! Also, the glue keeps the paper strips from moving where you want them to be, so don’t follow my example. Do yourself a favor and use 1/2 inch brads, not baby ones like I bought. Hot glue the cat’s tail decoration on the top of the pumpkin, place the leaf under it and wrap a green pipe cleaner around it and position it the way you would like it. 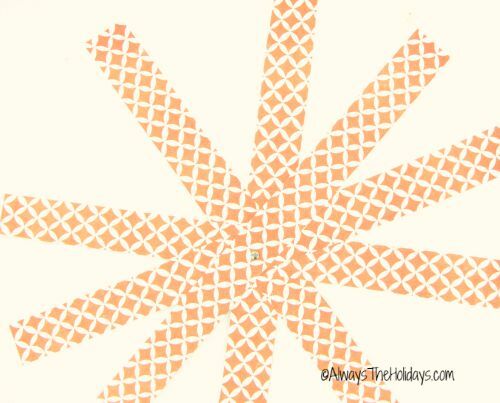 For the smaller pumpkin, cut the strips 1/2″ thick. Attach a brad in the center, form the pumpkin and attach another brad at the top and finish as you did the large pumpkin. I cut down both the leaf and the cat’s tail and also made the pipe cleaner a bit shorter so the dimensions were right. 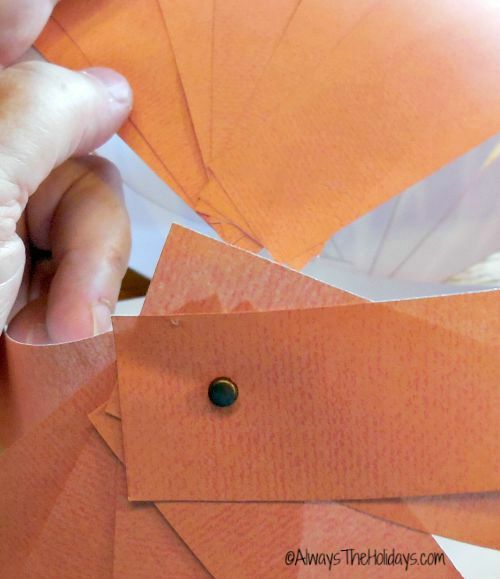 The last step is to take a piece of felt and cut a circle with a scalloped edging. Hot glue the pumpkin to the center of the felt and display. The main thing that is important with this project is to use good quality premium scrapbook paper. Don’t cut corners when you buy it. Some scrapbook paper is really thin and this won’t hold up well for this project. When the pumpkin is finished it needs some stability to the paper or it won’t sit right on the felt. I positioned the small pumpkin on a raised base and arranged them around my Willow Tree figurines. What sort of a crafter are you? Do you like involved projects that take a long time to complete and need to be stored, or do you like them to be quick and easy like I do? Let me know in the comments below.